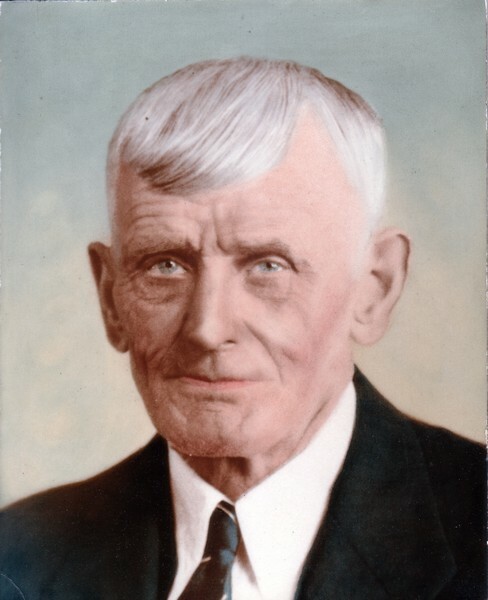 Birth* William John Komph was born on 7 November 1886 in Kincardine, Bruce County, Ontario, Canada. 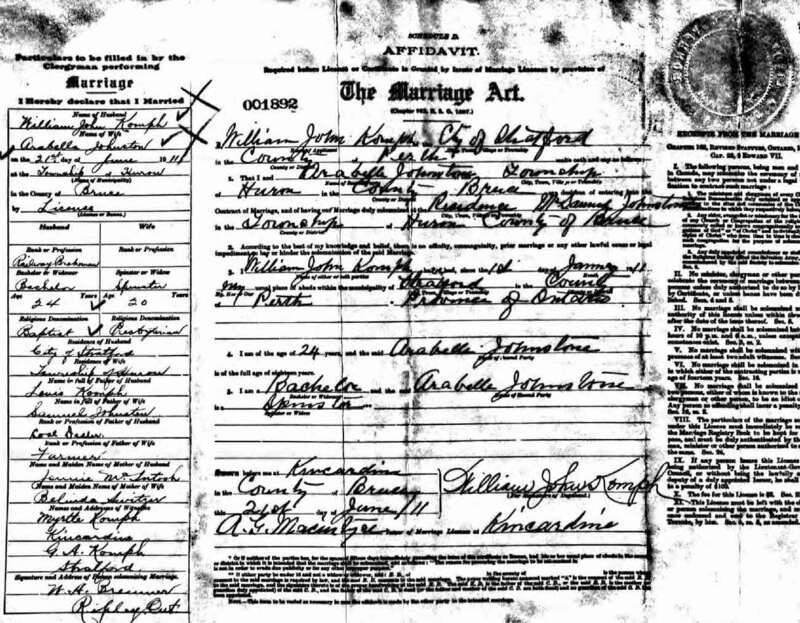 Marriage* He married Arabella Johnston, daughter of Samuel Johnston and Belinda Jane Switzer, on 21 June 1911 in Huron Twp., Bruce County, Ontario, Canada. [S26] Unknown record type: unknown subject, by unknown photographer; unknown series; unknown repository, unknown repository address. 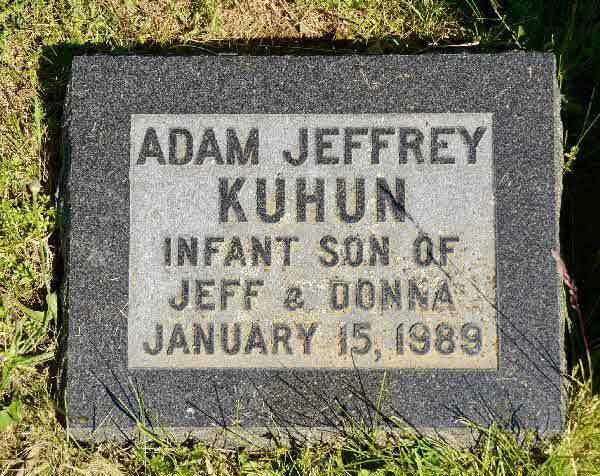 Online unknown url; unknown file name, Death Record for William John Komph. 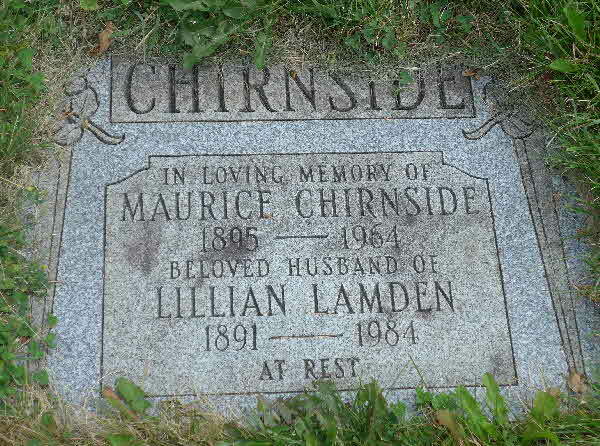 Burial* She was buried in Hillside Cemetery, Section 32, Angelica, Shawano County, Wisconsin, United States. 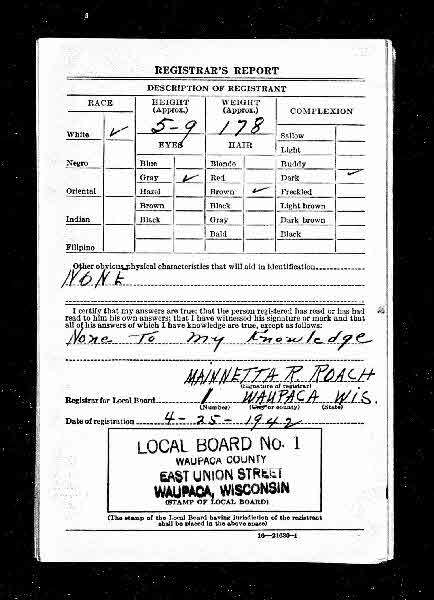 [S12] Shawano County Genealogy, online \, Shawano County Genealogy. 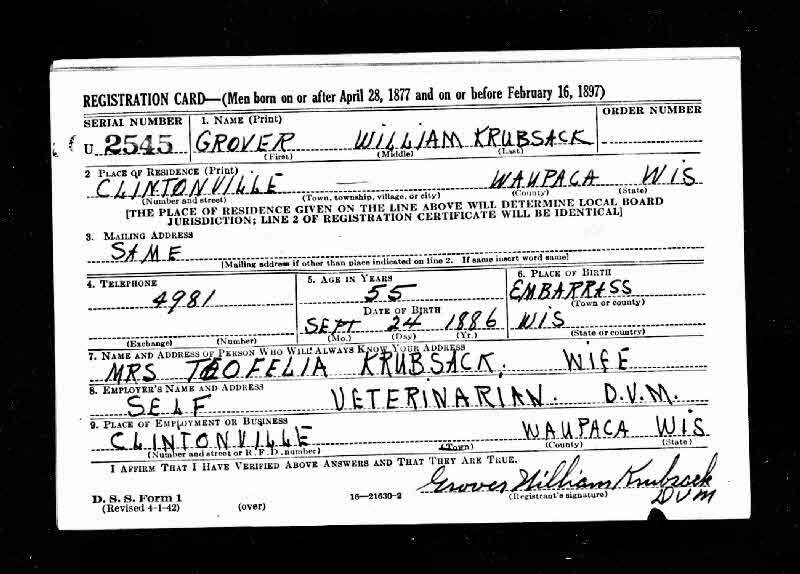 Milit-Beg* He began military service on 25 April 1942 in Waupaca County, Wisconsin, United States, Registration Card. 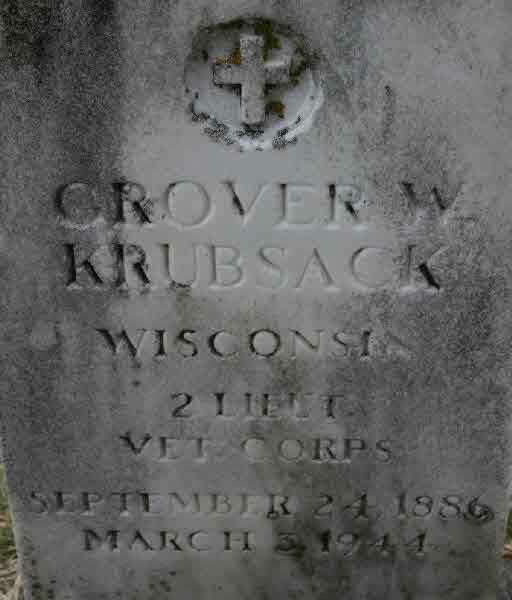 Burial* He was buried in Zion Lutheran Cemetery, Embarrass, Waupaca County, Wisconsin, United States. 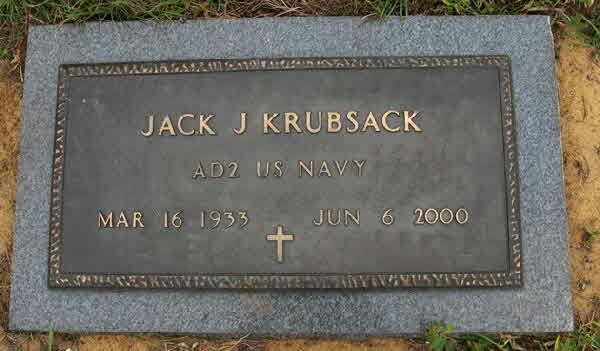 Burial* He was buried in Oak Hill Cemetery, Lake Placid, Highlands County, Florida, United States. 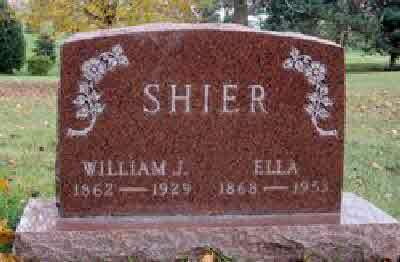 Burial* She was buried in Zion Lutheran Cemetery, Embarrass, Waupaca County, Wisconsin, United States. Burial* She was buried in Central Wisconsin Veterans Memorial Cemetery, King, Waupaca County, Wisconsin, United States. Death* He died on 28 November 2016 at age 91; Kuhl, George William – Passed away peacefully, with family at his side in Owen Sound, on Monday November 28, 2016 in his 92nd year. Son of the late Julius and Mary Kuhl. 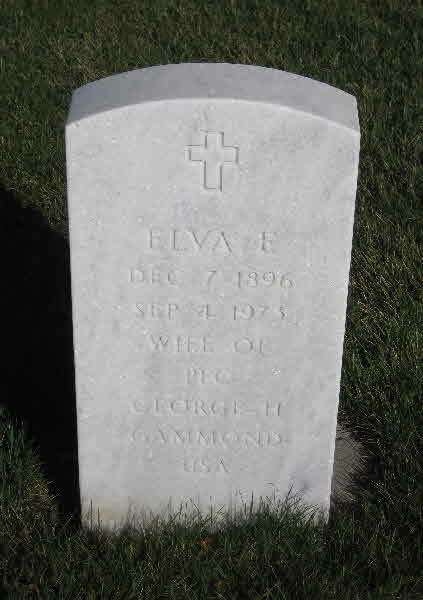 George is now reunited with his dear wife of 68 years, Sylvia, who predeceased him in December of 2015. Loving father of Linda Mae (Jim) Hamill of Meaford, Lloyd (Catherine) Kuhl of Keady, and Irma Kuhl (Gamble) (Al Speirs) of Chatsworth. Also survived by eight grandchildren, thirteen great-grandchildren and three sisters-in-law Shirley Lang, Alma Lang, and Cathy Kuhl, all of Desboro. Predeceased by his siblings Harold (Alvena), Otto (Luella), Viola (Ernie) Tompkins, Ernie (Gertrude) Kuhl, Alvin (Fran), Mary (Gordon) Garvie, Gordon Kuhl, brother-in-laws Gordon (Pearl), Armond and Hilton Lang and by two great grand-children. was born and raised in Sullivan Township. He farmed for over 65 years; raising beef and dairy cattle. He was extremely active in his church and community, including serving as reeve and member of North Grey/Sauble Conservation Authority. George was lovingly involved in the lives of his children, playing and coaching minor hockey and ball. As soon as the children were old enough to drive the tractor (7yrs) he trained them to compete alongside himself at the International Plowing Match. George enjoyed music and loved to dance with his dearest Sylvia, and entertain on the banjo or guitar. During quieter times, he was an avid reader and always kept himself well-informed, not to mention doing research on his fondness for collecting antiques. This hobby would often see him and his friend Stewart Weaver scour the US and Canada looking for the next collectible, or something to tinker with when they got home. George enjoyed the outdoors and would frequently go hunting for deer, coyotes or an occasional wolf. In later years he was blessed with many grandchildren and great grandchildren. His sense of humour endeared him as a devoted grandfather. He will be dearly missed! Death* Linda Mae Kuhl died on 4 December 2016 at age 68; Peacefully at her home in the arms of her loving husband. 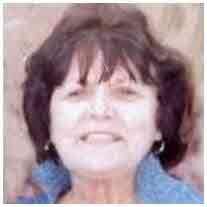 Linda Mae Hamill (nee Kuhl), of R.R. #4, Meaford, entered the presence of her Saviour, on December 4th, 2016 at 4:45 a.m., in her 69th year. She is survived by Jim, her loving husband of 47 years and their three sons, Jamie Hamill (Heather), of Meaford, Scott Hamill (Cynthia), of Wasaga Beach and Chris Hamill (Melinda), of Milton. She will be greatly missed by her 6 grandchildren, Seamus, Danielle and Bronwyn Hamill; Cole Hamill; Amelia and Brynn Hamill. 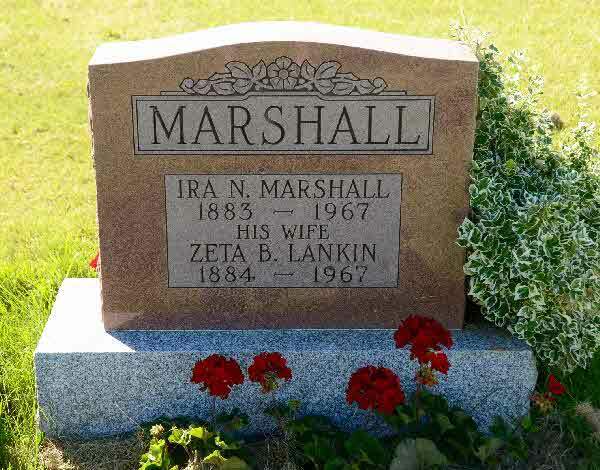 Linda is survived by her brother, Lloyd Kuhl (Catherine); her sister, Irma Kuhl Gamble (Al Speirs); her mother-in-law, Ruth Hamill; her sisters-in-law, Doreen Bannister and Mary Jean Hamill; her brothers-in-law, Stewart Hamill (Mary Lou), Bruce Hamill, and Ted Hamill (Mary Louise). 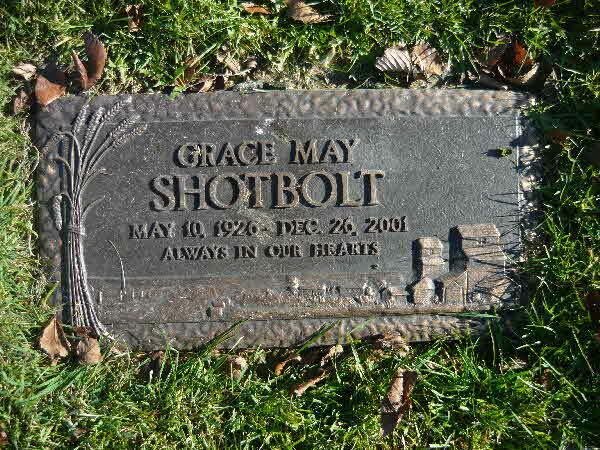 Predeceased by her parents, George and Sylvia Kuhl; her twin grandsons, Aidan and Brent Hamill, her father-in-law, Carman Hamill. Linda graduated from the University of Guelph and Althouse College of Education, London. She was involved in education throughout her life, as a teacher in Scarborough, Flesherton and Meaford. 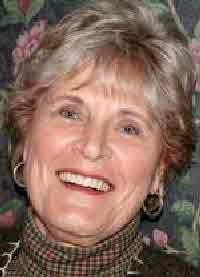 She was also a supply teacher, Board of Education trustee and school volunteer. 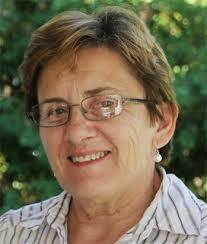 Linda was the long-time organist and choir director at Christ our Hope Lutheran Church in Collingwood. She received great pleasure in her involvement over the years with the Goldenaires, the Rocklyn Theatre and the Meaford Scarecrow Invasion celebrations. Linda has published several children’s books which she so enjoyed sharing with her grandchildren. Curling, gardening and quilting were some hobbies that she enjoyed, but her family brought her the most joy in her life. Our heartfelt thanks go out to Dr. Huff at GBHS and the many CCAC nurses and caregivers who showed kindness and dedication to Linda’s wellbeing, which allowed her to remain at home during her illness. Beloved wife of the late Richard. Dear mother of Allen (Sandra), Patrick, and Mark. Mother-in-law of Laurie A. Hogle. Proud grandmother of Ryan, Sean, Justin and Brandon. Great-grandmother of Joslyn and Cole. Dear sister of Veronica (Robert) Cabble, Bernard (Marianne) Kwiatkowski, David (Barbara) Kwiatkowski, Diane (John) Pentowski, Cynthia Sindone, Beatrice (Gregory) Hill and Joseph (Julie) Sindone. Death* Nancy Anne LaBeau died on 13 July 2009; Nancy Anne LaBeau, 72, of Birmingham, passed away on Monday, July 13, 2009.
was born on March 30, 1937 in Detroit, MI, to the late William and Opal Winn, and was the youngest of three children. grew up in Detroit and went on to the University of Michigan where she majored in Spanish. She received her educational teaching certificate and started teaching right out of college. She taught high school Spanish, Middle school English and Social Studies. has been a member of the First Baptist Church in Royal Oak. She also volunteered much of her time at homeless shelters and S.O.S., the South Oakland Shelter. She also taught Sunday school at the church and sang in the choir. was an attractive, classy woman with a great sense of humor. She loved to read, including mysteries and Stephen King novels, she also like to do crossword puzzles, and enjoyed playing the piano. She loved her friends and had a genuine love for her car, a Chrysler Sebring convertible. of her most precious memories were of times spent with family in Bayfield, Ontario, Canada. As a family, they traveled to the same place year after year and made great friends and truly had a sacred place for all of the family to enjoy. In her later years, she took some international trips that included a safari trip in Africa, a hot air balloon ride, and a trip to Italy with her daughter, Anne. of all, Nancy loved being a grandmother. 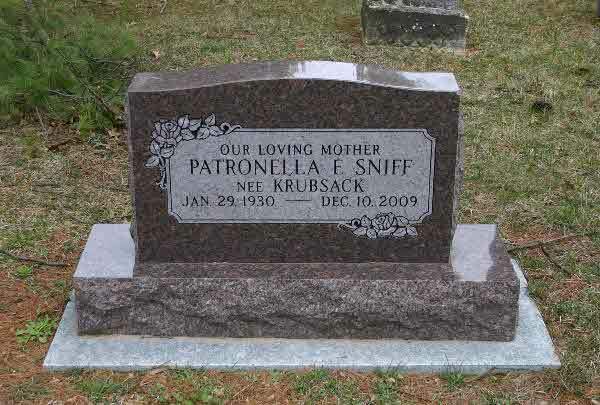 She was truly a great and wonderful grandmother. She made holiday times very special as she loved to decorate her home. Christmas was her favorite holiday, and she loved to share it with her family. 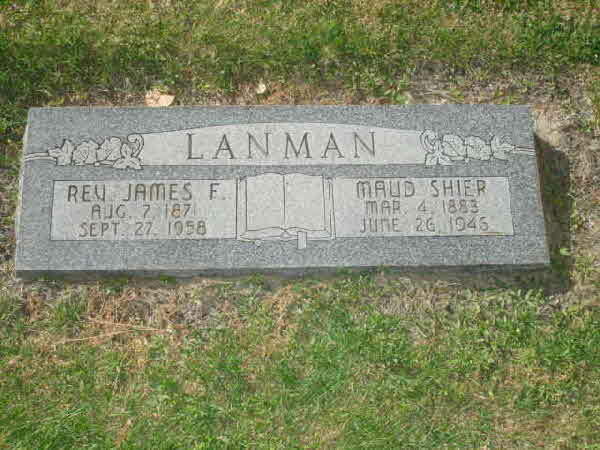 She was also very close to her brother Bill, who preceded her in death in 2006.
is survived by her two children, Suzanne Shier (David) and Anne Kreykes (Mike). She is the loving grandmother of Sarah Elizabeth Shier, Hannah Danielle Shier, Madeline Anne Kreykes and Molly Suzanne Kreykes. will receive friends on Saturday, July 18, 2009 from 10am-12noon at the First Baptist Church in Royal Oak, 309 N. Main St., Royal Oak, MI. funeral service will be held at the church at 12 noon on Saturday. will take place privately at Gethsemane Cemetery in Detroit, MI. Death* He died in 2007; Mr. John Laco, age 80 years, passed away peacefully in the hospital surrounded by his loving family on Monday, June 25, 2007.
was born October 3rd, 1926 in Petromanovoe, Czechoslovakia and came to Canada when he was only 7 years-old. John was one of four children. John came from Czechoslovakia with his mother Mary and older brother Andy to be reunited with his father who had come to Kenora, Ontario 7 years earlier to pursue a better life for his family. He loved travelling, fishing, camping at Sibley, hunting, and family. He especially enjoyed the chaos of Christmas mornings when the large family would gather in his small living room to laugh, open gifts and enjoy each other’s company. He didn’t say much those mornings, he didn’t have to, besides he couldn’t get a word in edgewise. He was a very proud man with a genuine heart, a gentleman through and through and a sense of honour that had him enlist in the Navy at 17.
, while in the Navy, met his wife Mary in Halifax during World War II. After the Navy, John moved to Thunder Bay to pursue a career in welding where he spent 42 years at Great Lakes Paper Mill (Bowater). John and Mary married and had five children raising them in Westfort. John and Mary always managed to work fun into their lives with many camping vacations and road trips. John and Mary were frequently on the dance floor and always the hosts of the party. After Mary’s passing in 1991, John found companionship in Verna Stevenson and they have been best of friends ever since. John’s family would be the first to tell you that he was a great father, grandfather and friend. He will be sorely missed. family members include children: David Laco, Cynthia (Wayne) Shier, Shelley (John) Simpson, Brad (Lisa) Laco and Bruce (Kristine) Laco, grandchildren: Wade and Colleen Shier, Lara Simpson, Andrew Ryan, John Laco, and Erin and Benjamin Laco, siblings: George (Gaye) Laco, and Mary (Pat) McCart, and best friend Verna Stevenson. was predeceased by his loving wife of 44 years Mary Laco (nee McKillop), brother Andy Laco and parents Mary and Andy Laco. 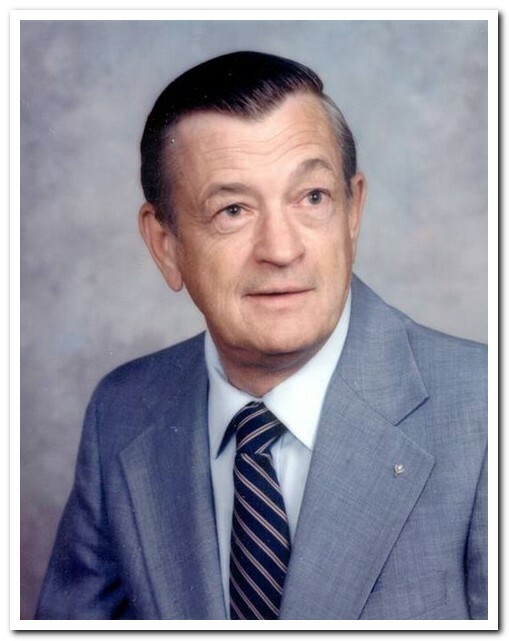 Services for the late Mr. John Laco will be held on Thursday, June 28, 2007 with family and friends gathering for the Funeral Mass at 12:10 P.M. at St. Agnes R.C. Church celebrated by Fr. James Panikulam. Visitation for family and friends will be held on Wednesday evening from 6:00 P.M.until 8:00 P.M. in the WESTFORT CHAPEL, 420 West Gore Street at James. A Legion Service will be held at 7:30 P.M. under the auspices of the Royal Canadian Legion, Branch 6. An informal gathering will be held at the Travelodge -Airlane in the Madrid Room on Thursday from 1:00 P.M. until 4:00 P.M. All are welcome. Burial* She was buried in Saint Vital Cemetery, Winnipeg, Manitoba, Canada. Burial* He was buried in Elmwood Cemetery, Fruita Mesa County, Colorado, United States. [S1] Ancestry.ca, online \Ancestry.ca\, James Austen Family Tree. Hereinafter cited as Ancestry.ca.